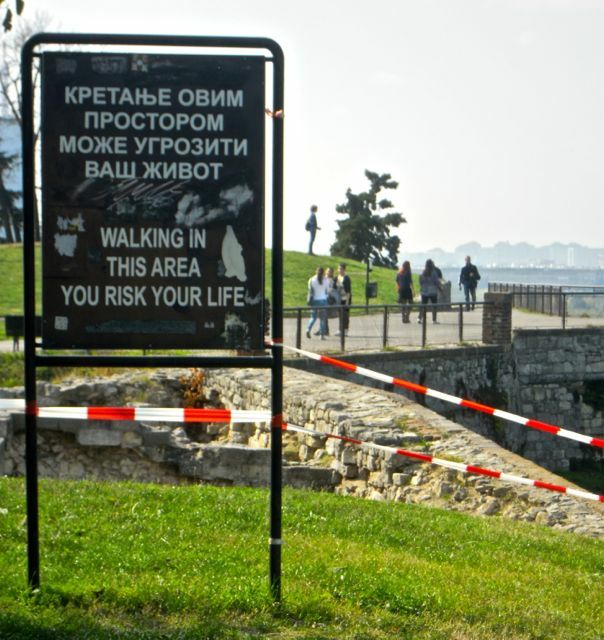 FOR MORE ON MY SERBIAN ADVENTURES, SEE THE BLOG ARCHIVES. 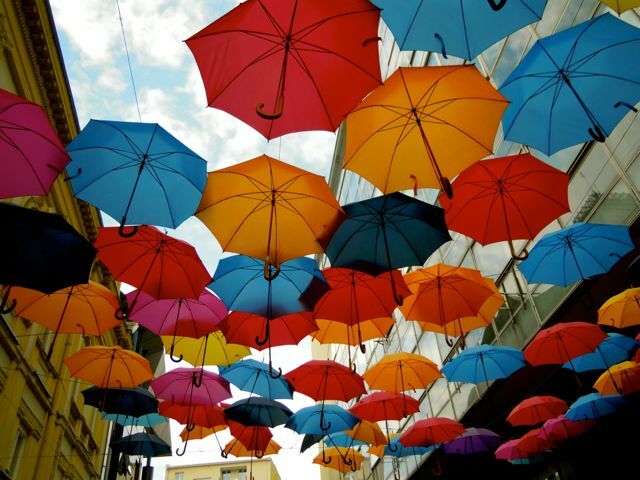 I love a cafe with umbrellas. 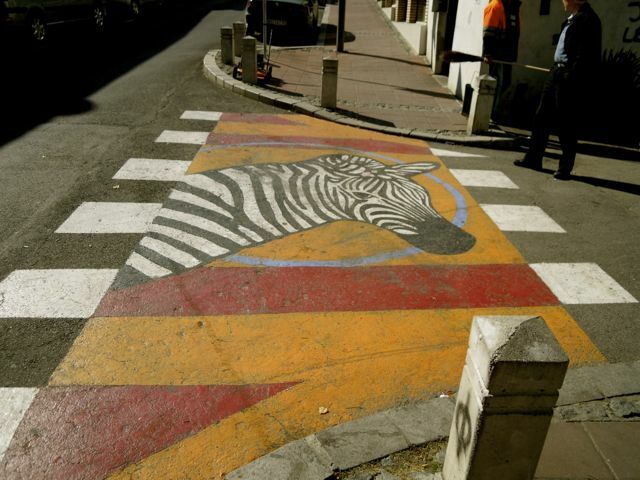 A zebra crossing by an elementary school. 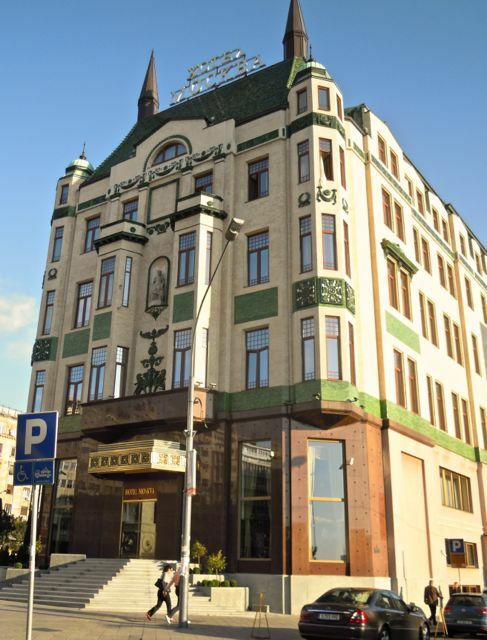 The Hotel Moscow. Rich read there were so many complaints about the service that the entire staff was fired and replaced. 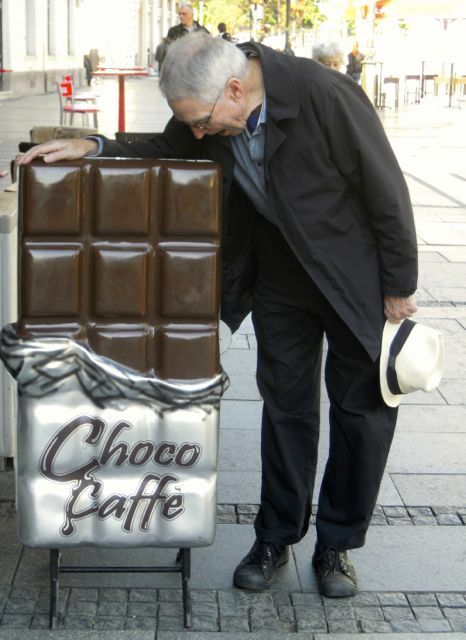 When Rich saw this giant chocolate bar he thought he'd died and gone to heaven. 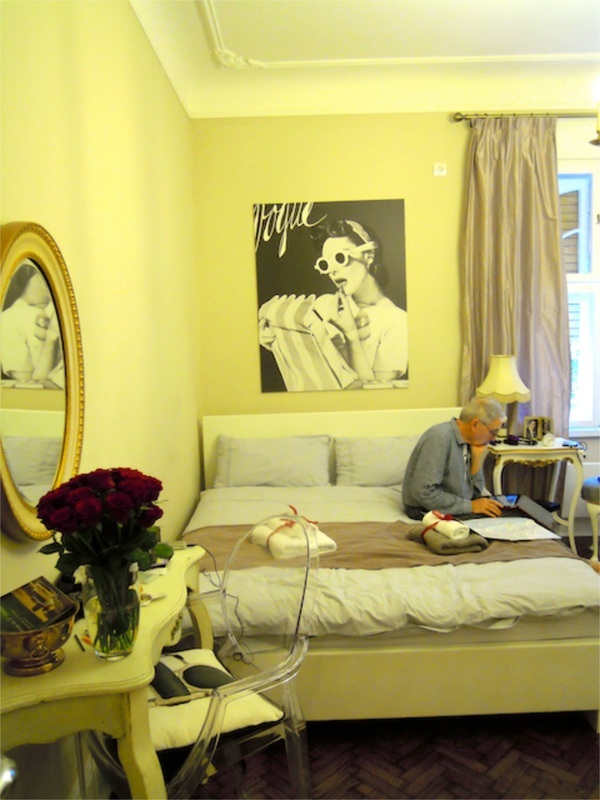 I didn't have the heart to point out it was plastic – a fact he soon discovered for himself. 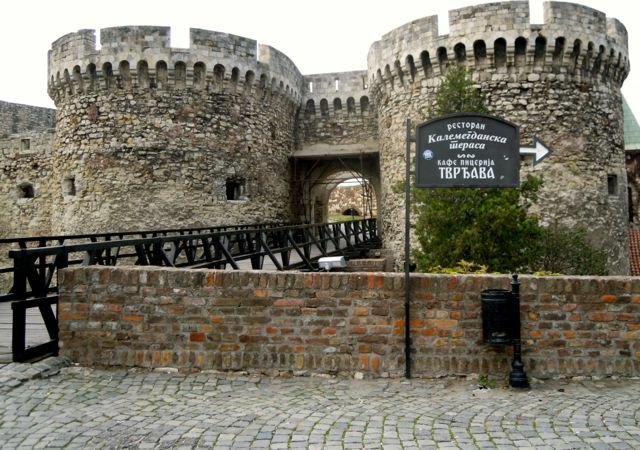 The Belgrade Fortress dates back to the 3rd century BC. 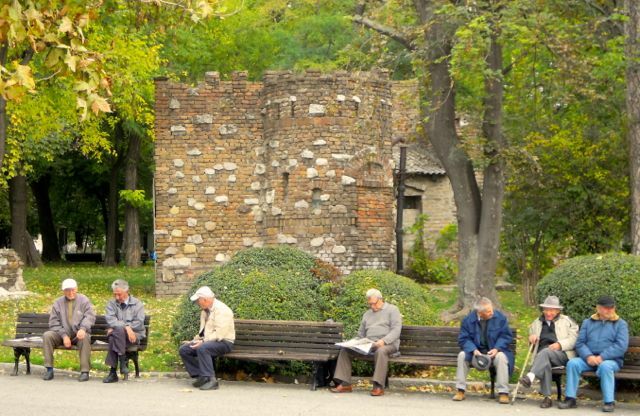 The Belgrade Fortress is surrounded by the charming Kalemegdan Park. 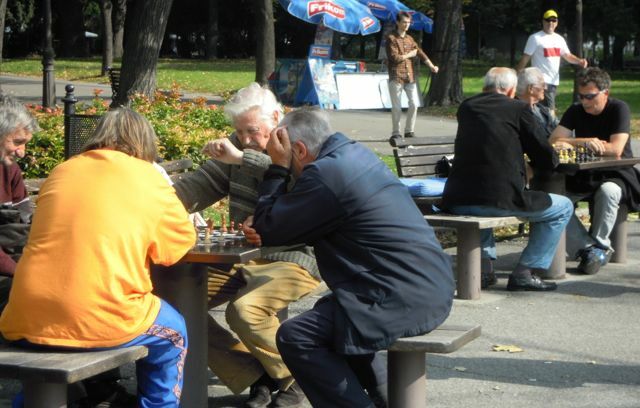 Now it's the site of fierce chess battles and guys hanging out reminiscing about the olden times. 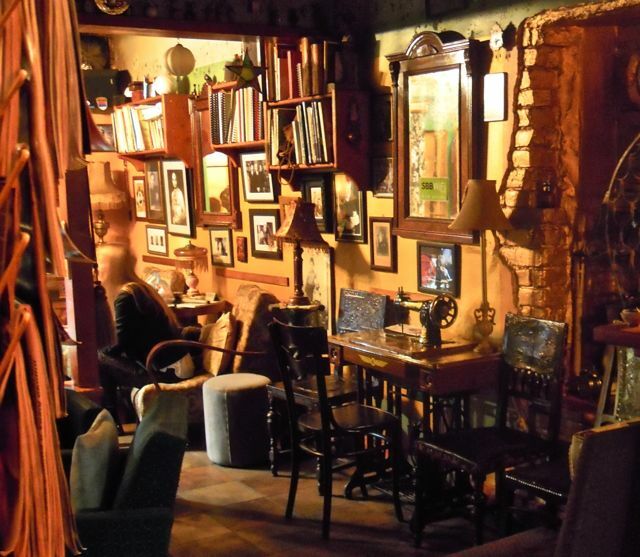 One of Belgrade's best speakeasies, the Federation Association of Globe Trotters (above and below). 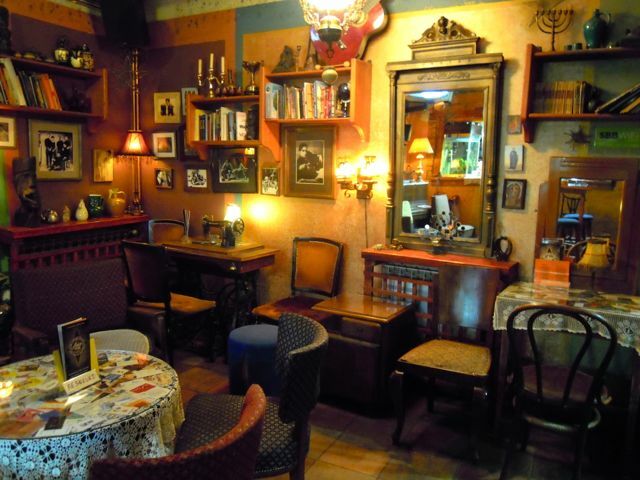 The speakeasy atmosphere harks back to the days of the Balkan wars, when it was imprudent to be overheard expressing anti-Milosevic sentiments, and hip young dissidents wanted to gather to discuss their political views in safe, congenial surroundings with a fully stocked bar. I’d heard numerous references to a district called “Silicon Valley” and assumed the city had some sort of high-tech industrial zone. It was days before I learned that this nickname referred to the silicon implants favored by many of the female patrons of an upscale district known for its slick, trendy bars. 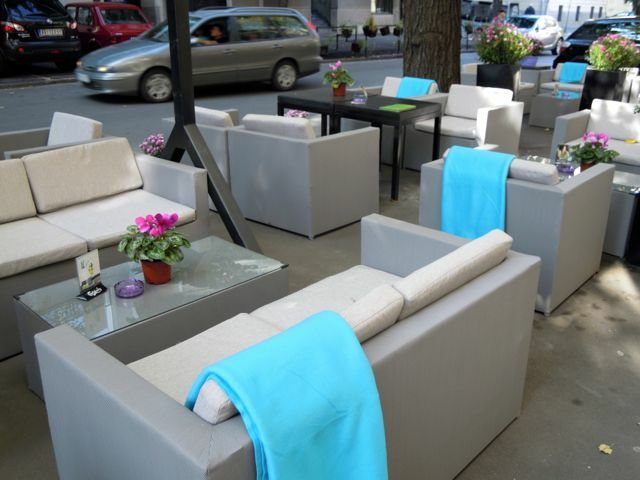 The tavern called ?, once known as Cathedral Tavern, stands across the street from the Orthodox cathedral of St. Sava. But this roused the ire of the clergy, who felt using a sacred name for such a worldly establishment was bordering on sacrilege. 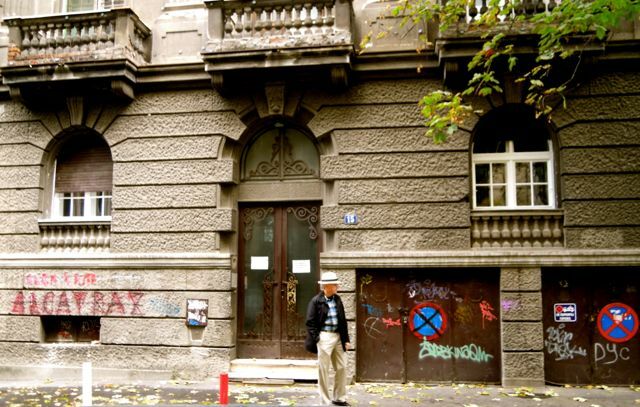 I gather there was a spirited exchange of opinions on the matter, but eventually the owner capitulated and agreed to come up with something else. 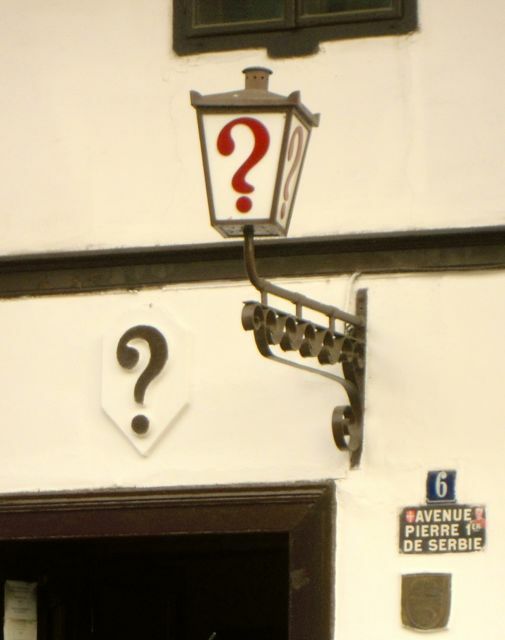 To give himself time to mull the matter over, he posted the question mark as a temporary solution, and it’s remained in place since 1878.